After my recent move, I had to cancel all holiday plans and settle for a staycation in the city. Not to worry, there is plenty to see and do in London and with the current temperatures it feels like a true holiday! 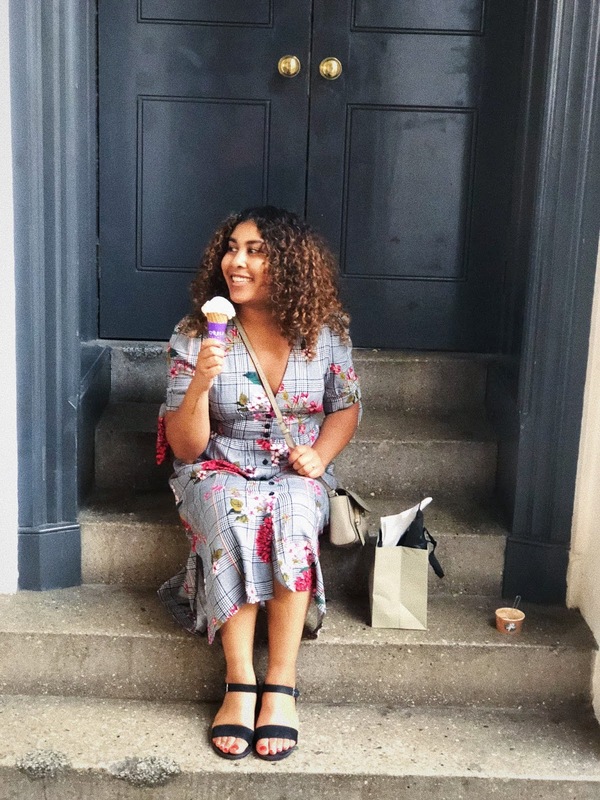 I swapped white sandy beaches for the ever so surprising London, a city that stole my heart. 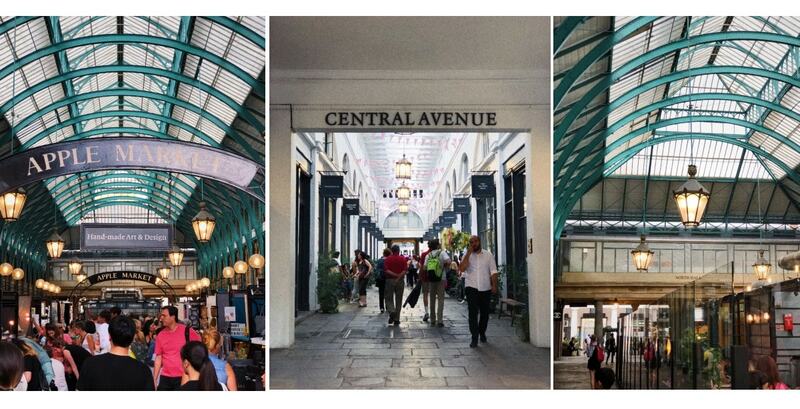 First on the Staycation list is an area I have been wanting to explore for a while: Covent Garden. 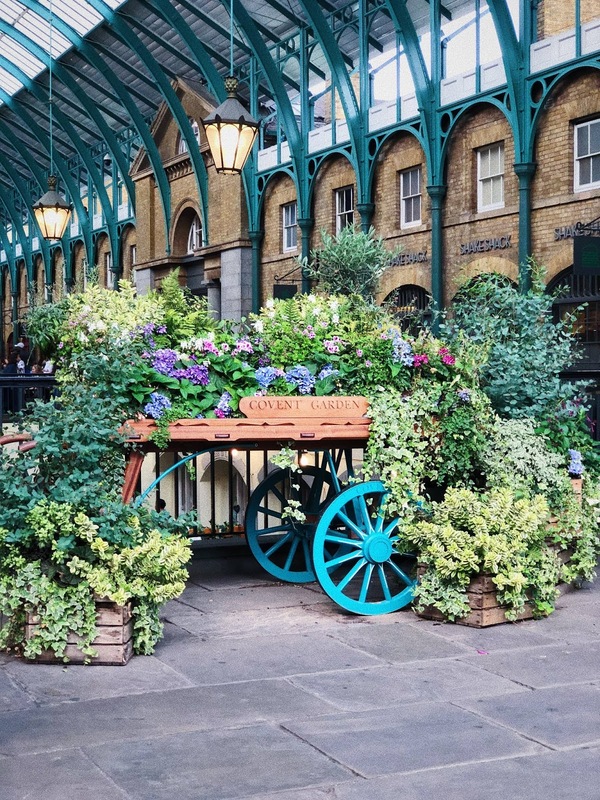 Covent Garden is definitely one of the most beautiful areas in London. It is central, but less stressfull than Oxford Circus. The Picadilly line will get you all over London within minutes, so this is really the ideal place to stay if you’re visiting London for the weekend. Here are some hotels near Covent Garden. 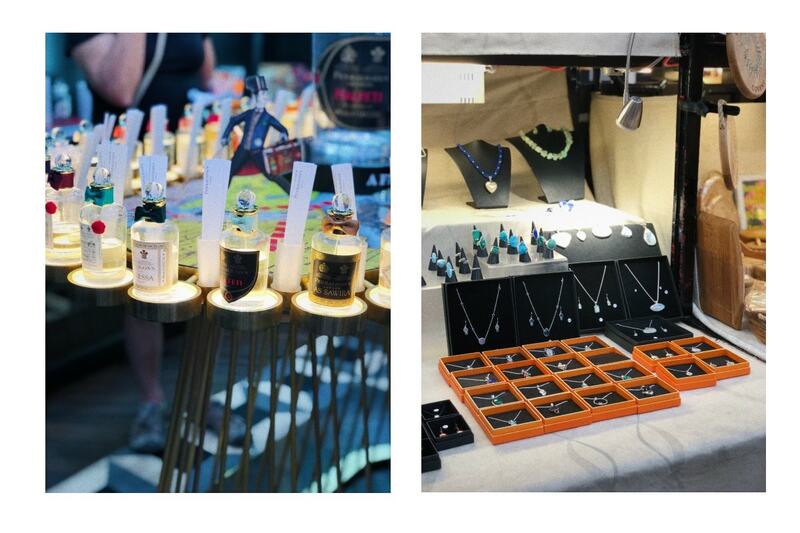 From the markets, to the theatres, the area is truly buzzing both during the day as well as at night. The cobbled streets and many independent shops really set the scene and are what makes the area so unique. Throughout the area you will find plenty of Instagrammable backdrops, monuments and street performers. 5.45 PM: We browsed the Apple Market, the Jubilee Market Hall and the cute shops in the Seven Dials surrounding Covent Garden. There are some incredible vintage shops in those streets btw! 6.45 PM: All that shopping made us very thirsty so we treated ourselves to a delicious Morelli’s Gelato. 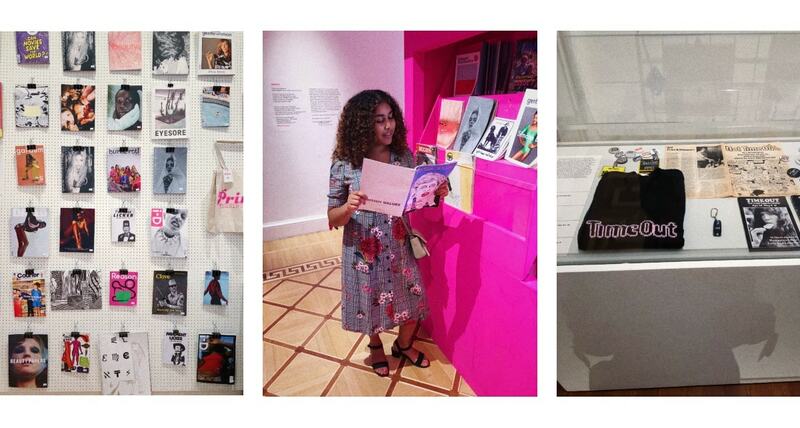 7.00 PM: After that well deserved break we headed to Somerset House to explore their current (free) exhibition PRINT! TEARING IT UP about the resurgence of independent British magazines in the digital age. 7.45 PM Those earlier treats really filled us up, so we decided to grab a seat outside and enjoy a glass of wine before dinner. 8.30 PM: Time to eat! We wandered around to see our options, but on hot summer evenings my appetite is far gone. 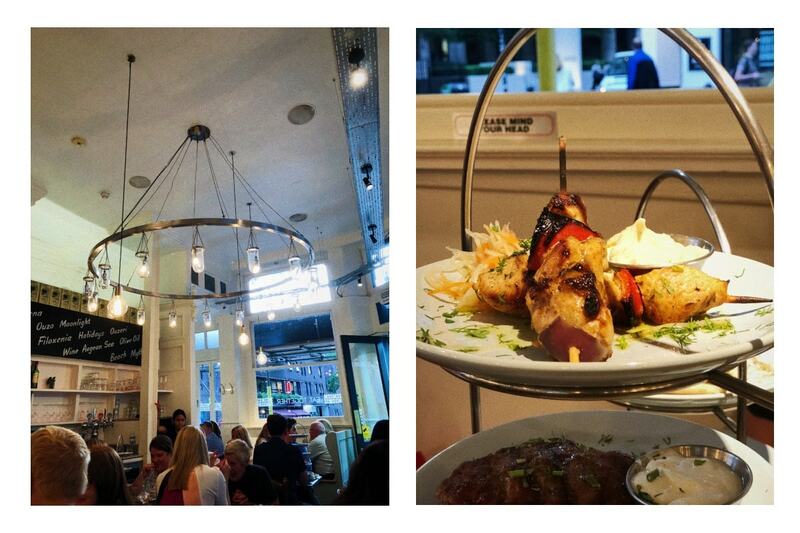 Luckily The Real Greek came to our rescue with delicious shareable menus. All dishes are very light and great to nibble on whilst catching up with a friend! 10.00 PM: By the time we finished our dinner we were both so stuffed! We decided to enjoy the evening more by walking to Waterloo Station. 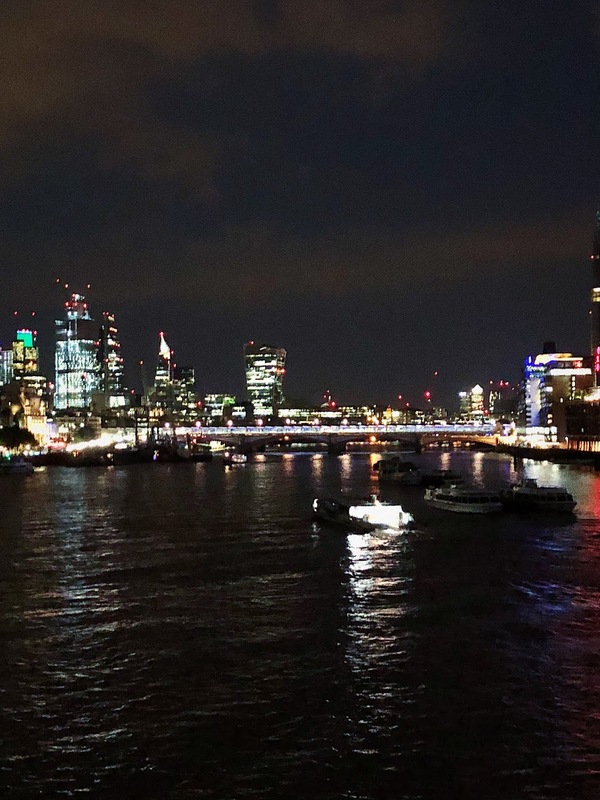 The view from the Waterloo Bridge was just stunning and reminded me of how lucky I am to call London home. 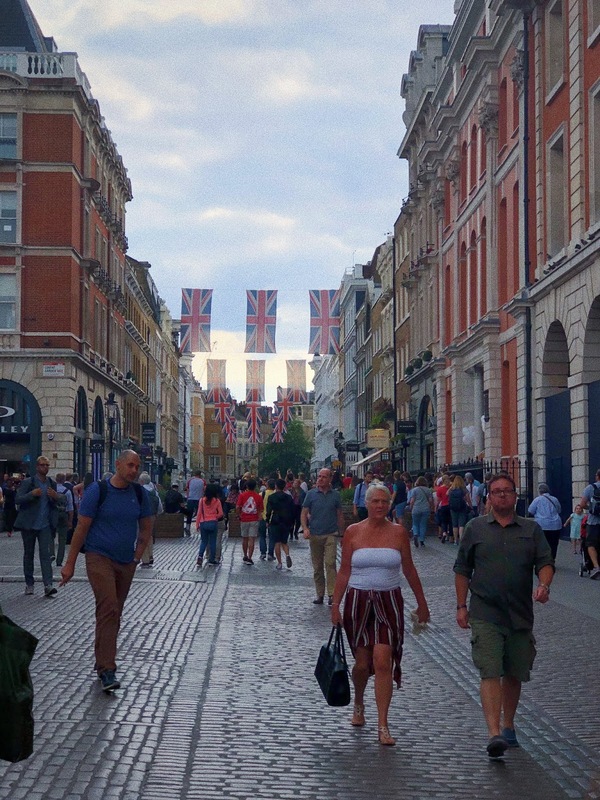 As we headed to Covent Garden after work we didn’t have much time to truly explore all the possibilities. However, if you’ve got a day to spend I would recommend seeing one of the many musicals at the iconic theatres. My personal favourites would be Mathilda at the Cambridge Theatre, The Lion King at the Lyceum Theatre and The Royal Ballet at the Royal Opera House. 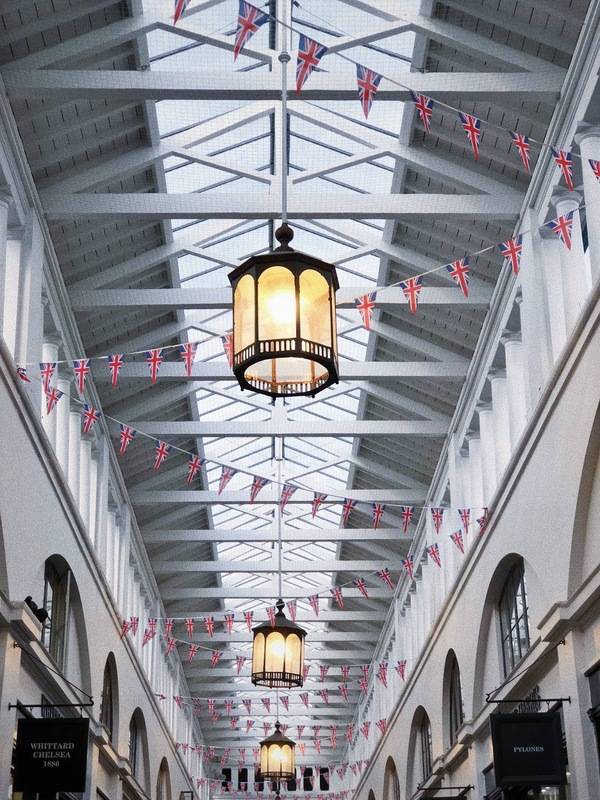 The shops and markets were nearly closing when we arrived, but do take your time to browse the vintage and antique stalls and stores as you might get your hands on a true gem! 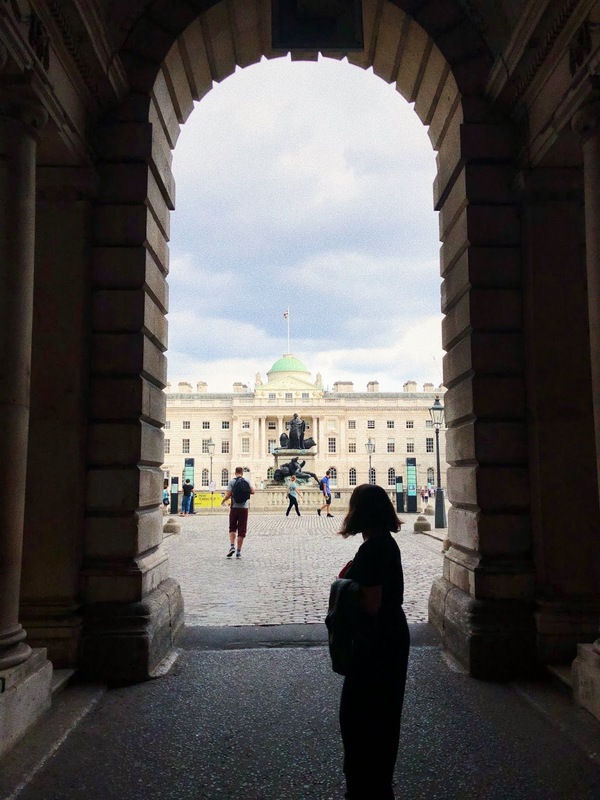 The museums surrounding the area are also well worth a visit, especially the National Portrait Gallery with a sky bar/restaurant that has stunning views of the London Eye. Another great visit would be the London Film Museum that currently has an exhibition about James Bond! *This post was written in collaboration with Hotels.com, however all opinions are my own. 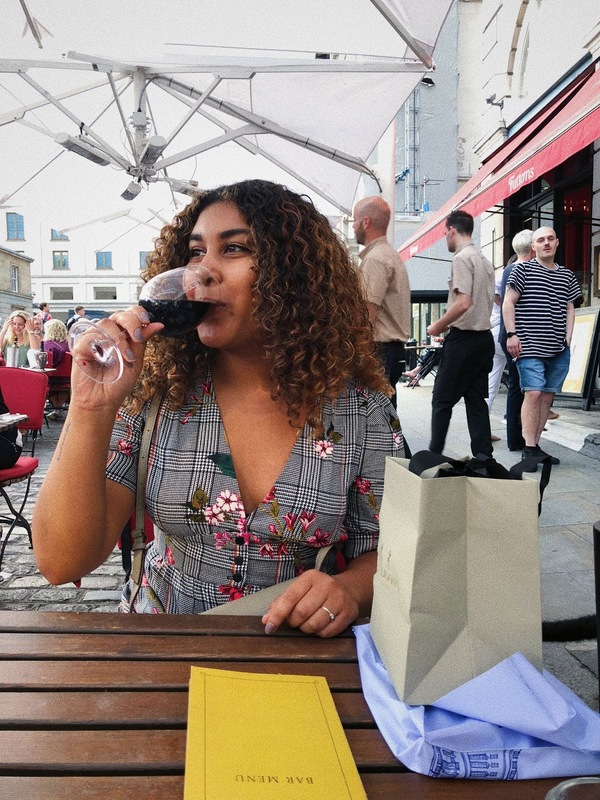 We decided to dine at The Real Greek but other spots on my list were Bronte, Clos Maggiore and upon recommendation of the CoventGarden Insider: Cora Pearl. 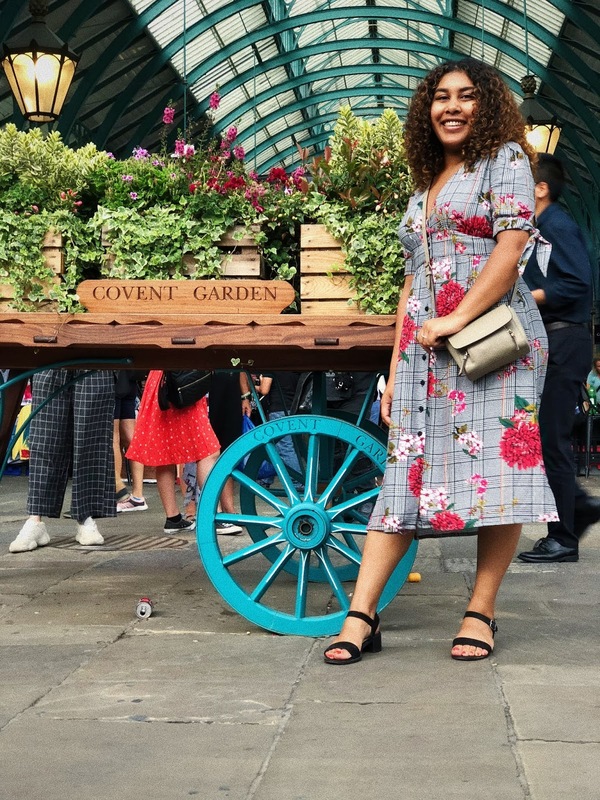 We had a wonderful summer evening in Covent Garden, the perfect way to officially start my Staycation in London! I you have any recommendations of things to do in the city during summer please do let me know!